Water usage is a crucial part of our operations and we recognize the value of this important resource. We are developing a strategic water management plan to help identify water reduction, recycling and efficiency opportunities. Water is essential to life, but in many regions water risks are increasing and availability is becoming more of a concern. Our industry requires a certain amount of water to operate, but we recognize our responsibility to use this natural resource wisely across our global footprint. As a result, we track not only the volumes of water coming into our sites and discharging from them, but we also closely track specific water quality criteria to ensure we are compliant with our local discharge permits. 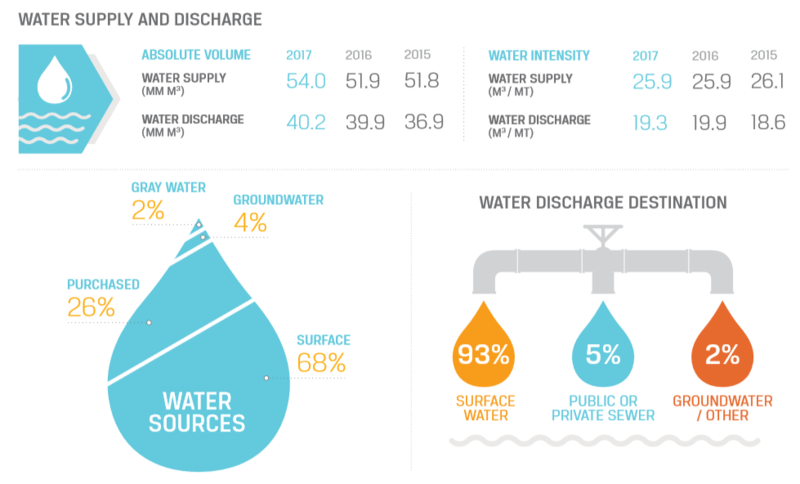 In 2017, we experienced a slight increase in the volume of water used and discharged in absolute terms compared to the previous year. When normalized by production, the intensity of water used remained stable, while discharged water intensity decreased slightly. As we continue to closely monitor these metrics, we aim to further improve our water management practices and make the most efficient use of this resource, paying close attention to water availability risks in regions where we operate. 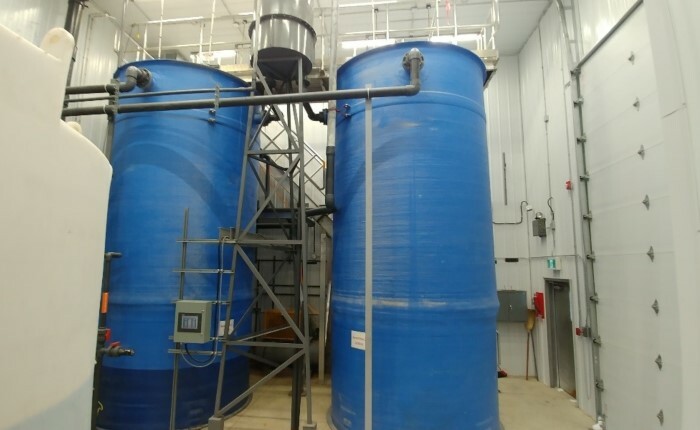 We recently opened a new treatment facility to address total suspended solids in Manitoba, Canada. Now, the facility can treat 1.4 million liters of effluent daily. In August 2017, a new water treatment facility was brought online at the Tanco mine site in Manitoba, Canada. The treatment facility is the culmination of efforts over more than a year and a half to reduce total suspended solids contained in the plant effluent, paying special attention to nutrients that can lead to algae growth. As a result, the facility is now capable of treating 1.4 million liters of effluent per day, achieving levels of total suspended solids that are well below the regulatory limits and eliminating the nutrients that contribute to the algae problem. Our Dubai, United Arab Emirates, masterbatch facility is required to test its diesel fire water pumps on a weekly basis. In 2017, we found a more efficient way of testing, which uses half as much water. Historically, the water used in these tests was discharged from the facility. As part of an effort to identify ways to reduce water use, the team looked at the possibility of capturing this water for reuse. 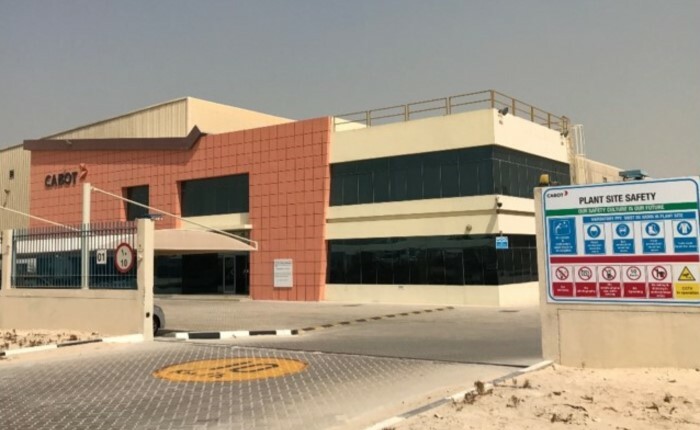 After careful evaluation of the quality of the fire pump water, the Dubai team modified their water system to capture this water and recycle it back into the process water supply tank, which resulted in a 50% reduction in water purchased by the facility.